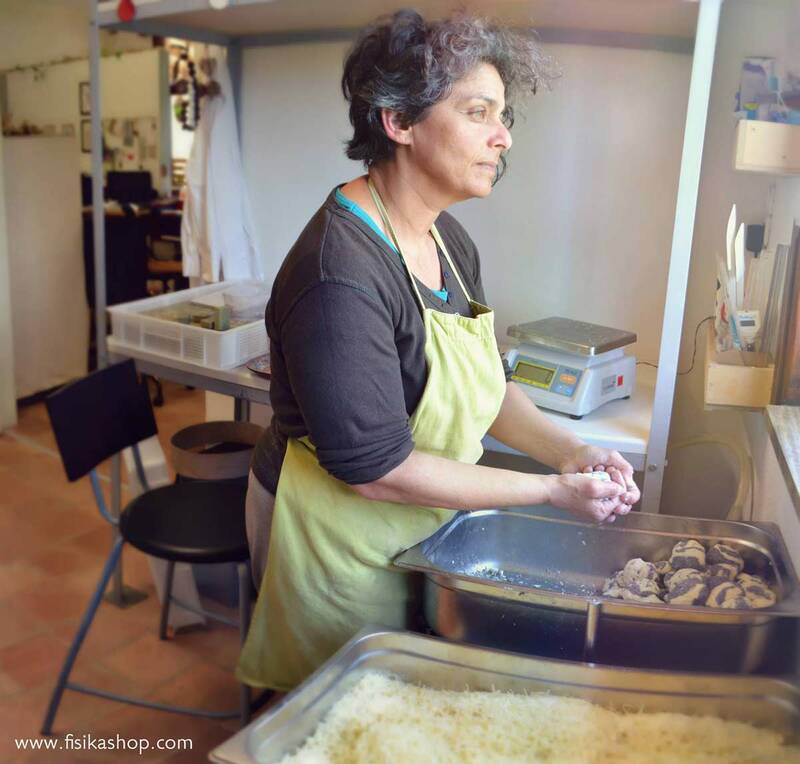 FISIKA is a family business from Crete created and run by three women: Filio, her sister Voula and her daughter Maria. 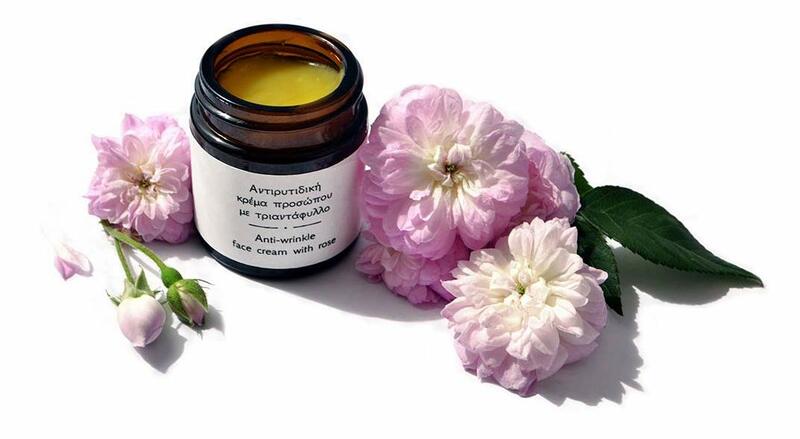 They make handmade personal care products, mainly soap and skin creams, using organic ingredients. They are committed to sustainability with a zero waste production process and to supporting their local economy as well as reducing their ecologic footprint by getting the majority of their ingredients from local producers. “We like to be close to nature. The logo of FISIKA was the starting point for the creation of the brand. We needed something that was handmade, friendly, “natural” and at the same time strong, bold and memorable. The name of the company is the greek word (Greek) φυσικά which means natural (in a natural way). This, along with their passion for handmade creations, led us to the decision to go for a handcrafted logo. 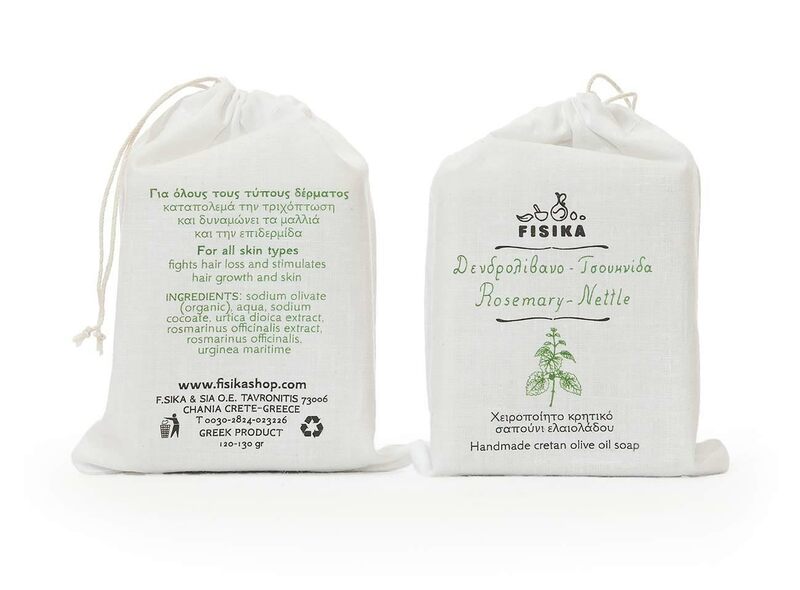 Although FISIKA craft is based on tradition the company itself is very progressive and fresh and that had to be reflected on their branding. After extensive design research, experimentation and in close communication with the client we concluded with a black and white combination of the elements of their trade (the leaf, the mortar and pestle, the oil jug, almond and seed) and handmade, soap bar resembling, dominating typography. 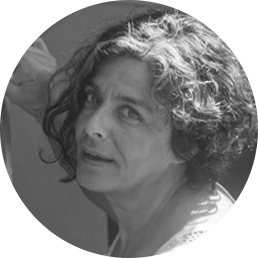 We managed in this way to communicate the essential values of the company, their commitment to natural ingredients and sustainability and to help establish the newly founded company’s name in the mind of their followers. 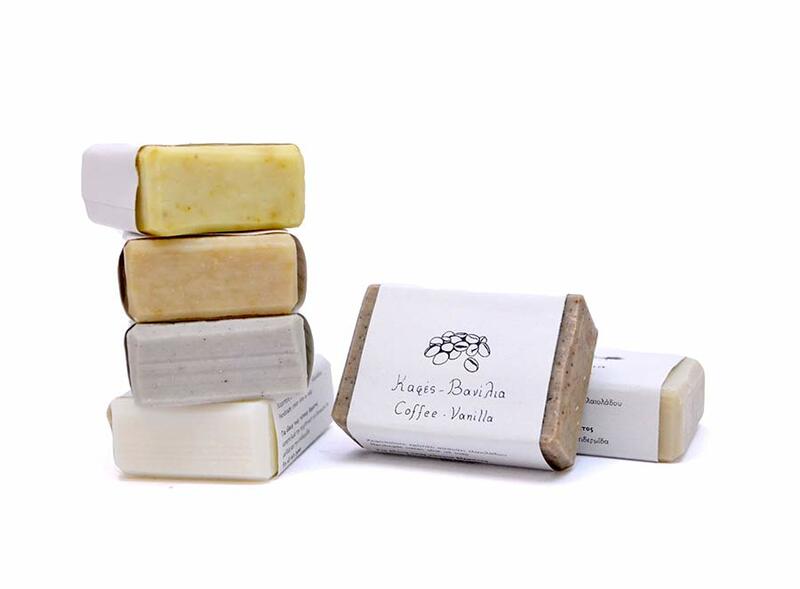 The first package we designed was that of the soap bar. 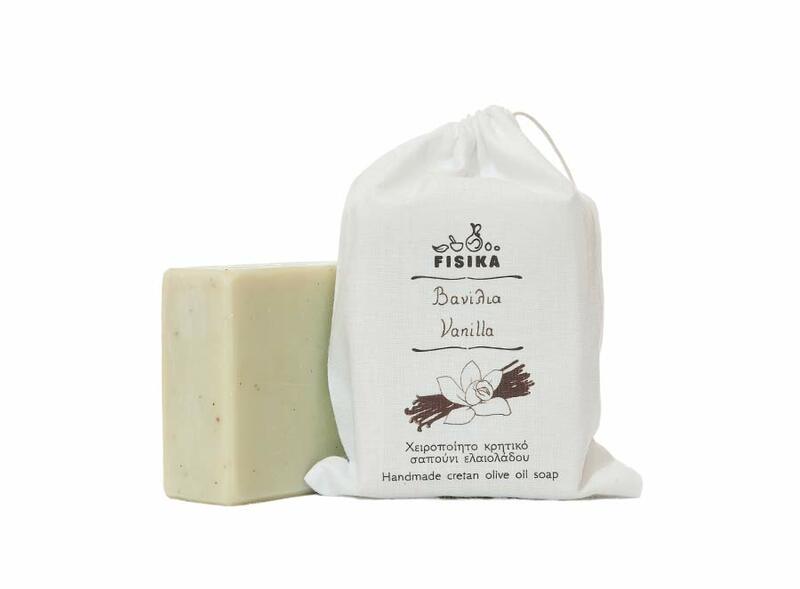 A product that comes from a long soap-making tradition and yet is so fresh and modern should be able to fit nicely next to the mirror at grandma’s remote house deep in the mountains of Crete as well as the modern bathroom in the metropolis. This led us to combine subtle decorative elements with zen like minimalism. Each soap bar is handmade and for that it deserves a unique package. We decided to use a silkscreen printed cotton pouch that would house each soap bar making the package exclusive as well as recyclable and reusable. 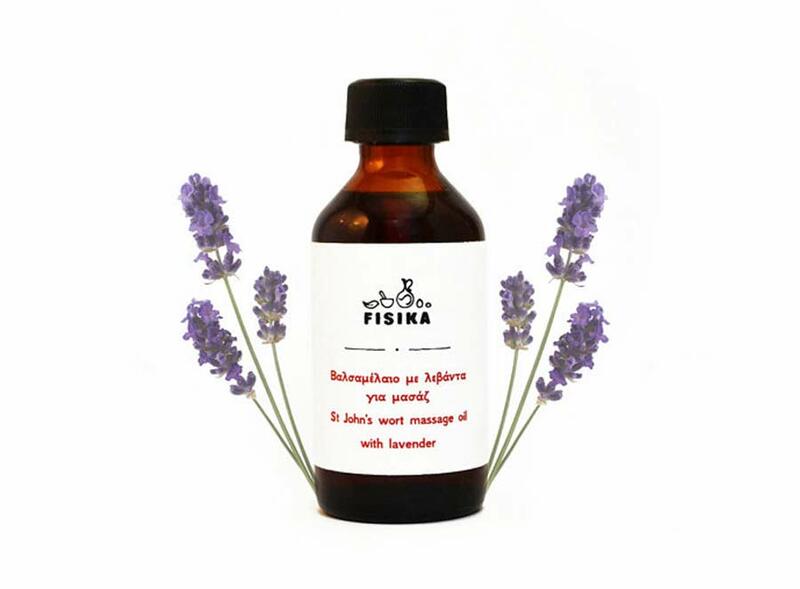 From that we went on to apply the same principles and visual style to a wide range of Fisika products from pocket soaps to aromatic vinegars and from skin creams to massage oils. We came up with a series of minimal illustrations to communicate the whimsical creations that FISIKA was bringing into existence. The soaps were assigned their main ingredient in a quasi realistic representation. 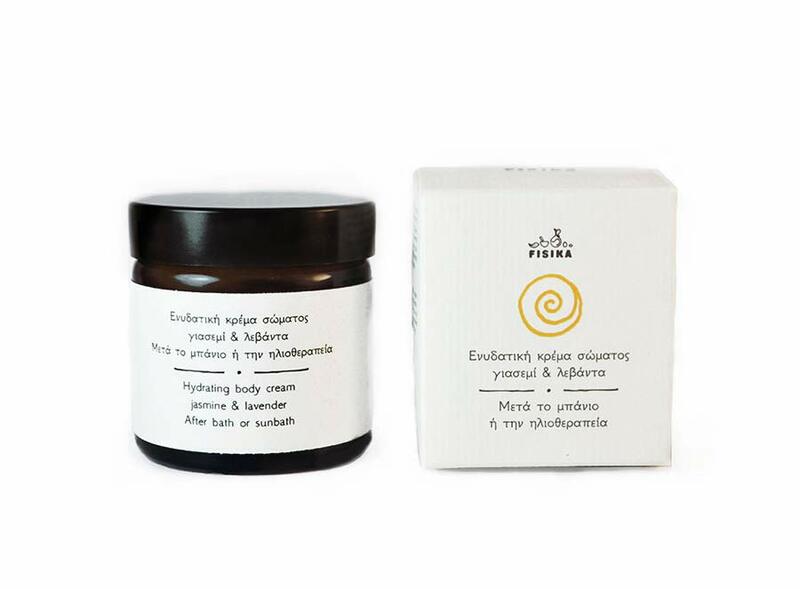 The creams got a more allegorical approach with a series of abstract symbols, relating to the use or ingredient of each cream. Fisika also needed an online presence and for this we created a website that reflected the feeling of being at the FISIKA workshop in Crete. Warm and welcoming with impressive images inspired by the ingredients and the products of FISIKA. This was version 1.0. Soon it became apparent that the company needed a different approach to it’s online presence with more emphasis on sales. This led us to an overall redesign a year later. Version 2.0 is now online. 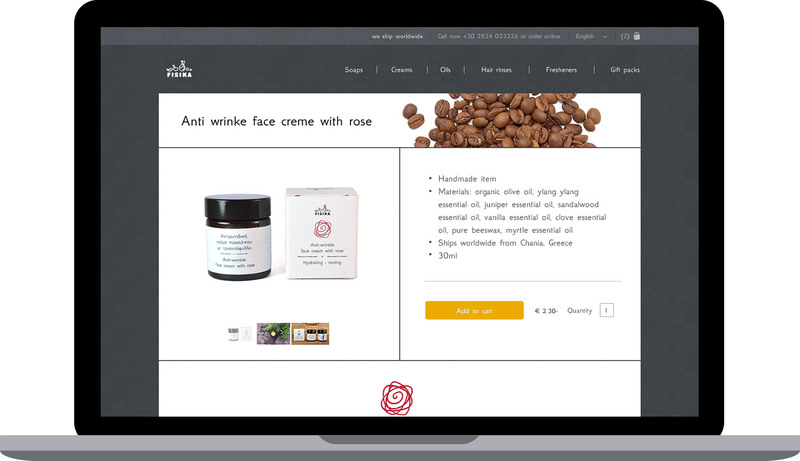 In the second version we made more prominent the e-shop functionalities while keeping the warm and welcoming feeling of the FISIKA real life workshop. By now we had a large depository of high quality images to work with so we decided to take advantage of this and built the website with an emphasis on photography. 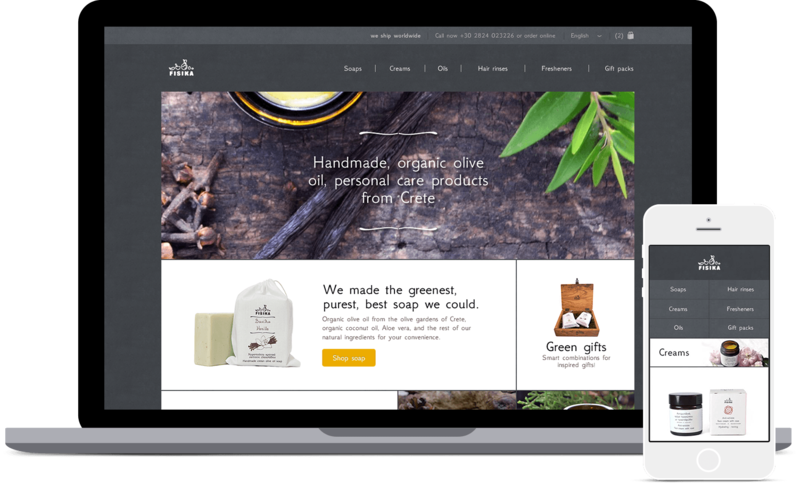 The homepage is the online front window of FISIKA and it had to be carefully constructed in order to communicate what FISIKA is all about and make it easy for users to get their hands on their exclusive products. Impressive imagery and iconic typography are used to grab users’ attention. A parallax scrolling effect is added to give depth and a sense of motion while users scroll. 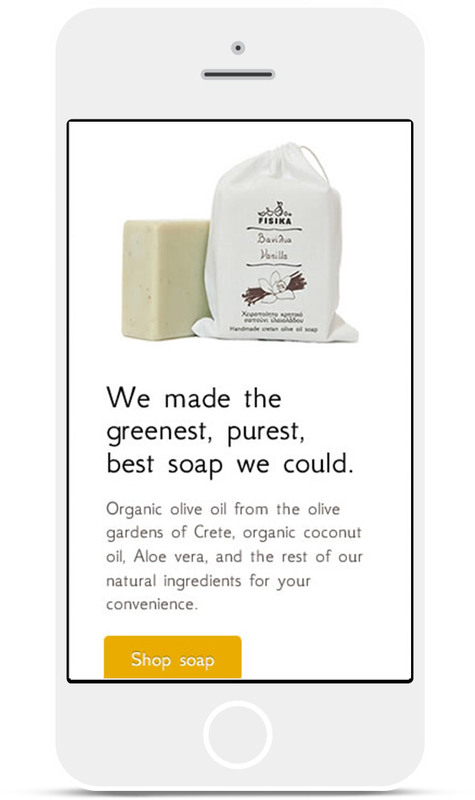 Carefully studied visual hierarchy leads the user’s eye to different buying options with enough white space to avoid a cluttered feeling. The products are dominating gaining the users’ interest. 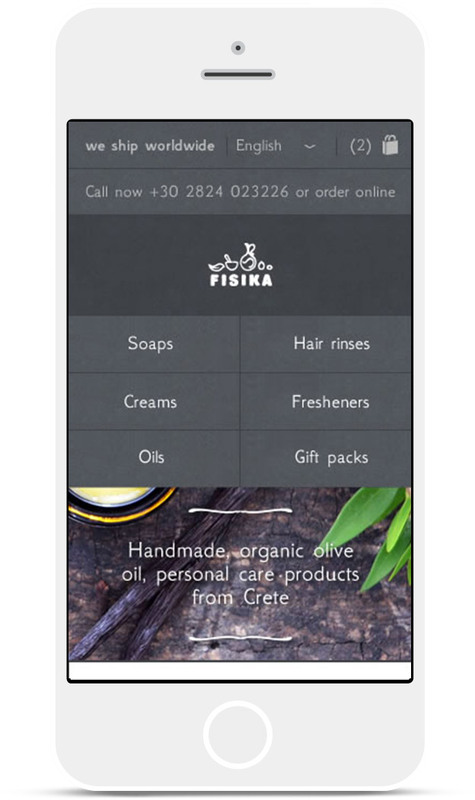 Social media icons allow the users to follow FISIKA on their preferred channel. The core of FISIKA's philosophy is explained in a few easy to read bullets showcasing the value propositions of the company. A gallery of popular products helps the user find what others liked. 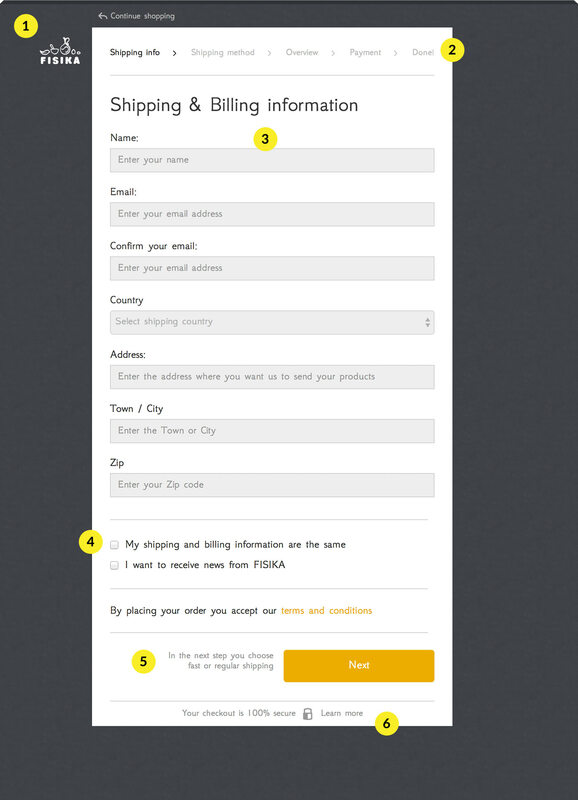 A complimentary Call To Action button at the end acts as a buffer zone before the footer, as well as another starting point for the users to take action and explore FISIKA. 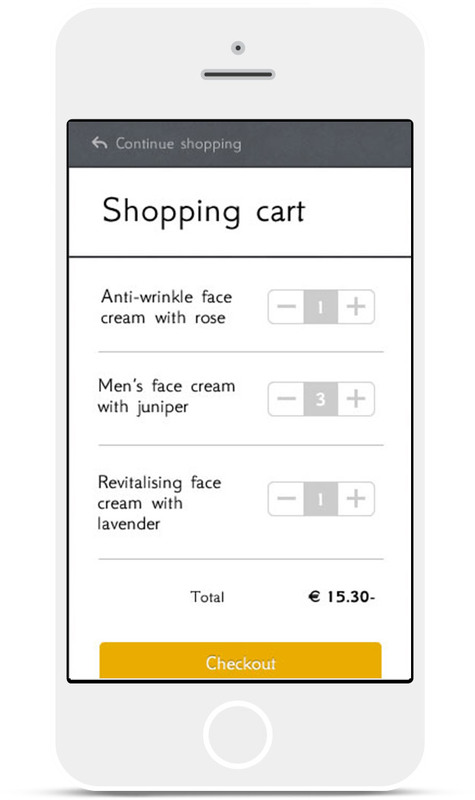 We redesigned the checkout experience to enable users to complete their purchases with the minimum cognitive effort. 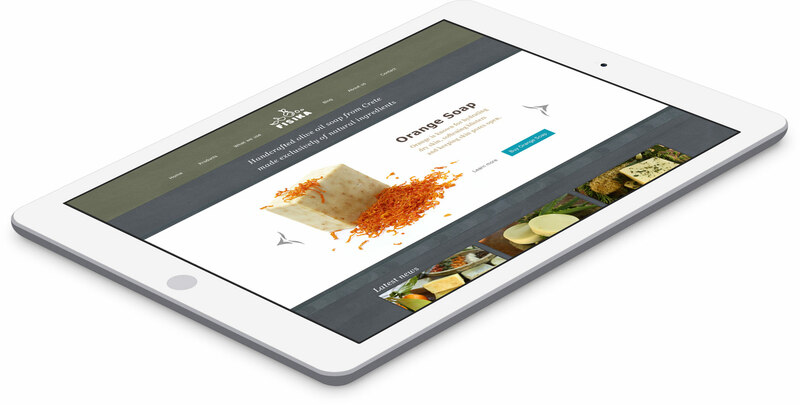 With a few clear steps and a minimal, uncluttered checkout process, users can glide through the checkout. Breaking down the checkout design. 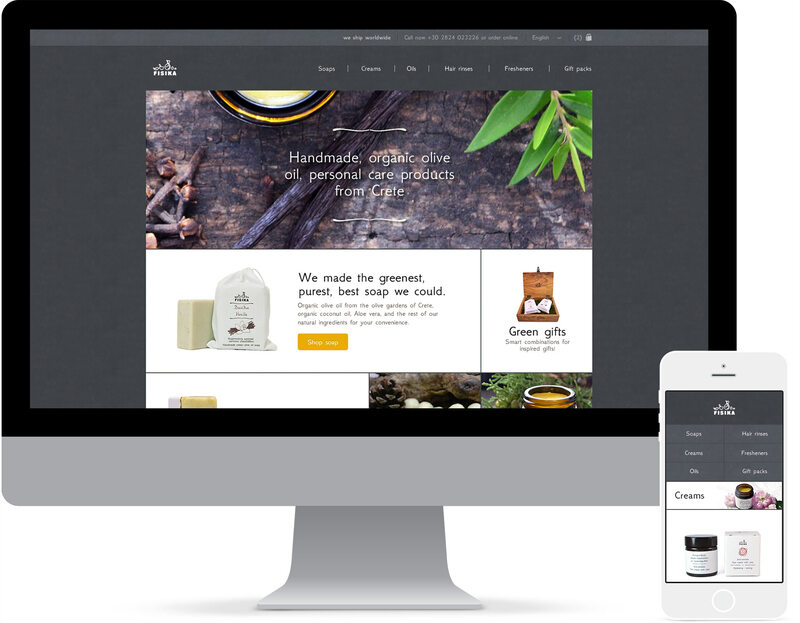 The checkout page is stripped of all previous visual elements to feel like a separate, distinct process and help users focus on the task at hand. The logo is still there so you know you are still in the FISIKA website as well as a “Continue shopping” button in case you changed your mind. The steps of the checkout are clearly marked to help users estimate the amount of effort and time needed to complete the process and can also be used as navigation. All fields are set in a single column to make them easier to scan and fill thus reducing the chances of user errors. If the shipping and the billing address is the same then users avoid filling the same info twice by clicking on a checkbox. Before each step users get a clear description of what happens after their next click. We inform the user about the encryption used and the steps we've taken to keep their transactions secure. "Bomburo has been indispensable in the building of our brand. Their commitment, attention to detail and deep understanding of visual communication has helped us expressing our core values while connecting with the right audience. From the creation of our logo to the packaging of our products and from our brochures and cards to our online store, Bomburo has been consistently delivering excellent work that brings results."